Thanks for visiting Audiko.net! 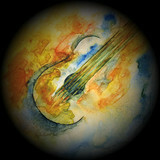 You can easily download a free FHgitarre-classicalGUITAR ringtones for your iPhone or mobile. Fix your favorite episode from your favorite composition - Étude in E-minor by Fernando Sor, Asturias by Isaac Albéniz [studio version/old archive], Adelita! by Francisco Tárrega, or any other track. You may obtain your track piece both in the MP3 and m4a formats, compatible with both mobile phones and iPhones. Just select a track, and choose free FHgitarre-classicalGUITAR ringtones download option.